Antwerp is full of surprises. Take its city beach, Saint Anneke, on the left bank, for example, where you can come for a walk, a nice meal or just to chillax. Saint Anna Beach on the left bank refers to the former village of Saint Anna, when the beach was a popular attraction with many of the locals. They would typically come here by ferry to enjoy the famous mussels of Saint Anneke. Even today, you can still sample the mussels in one of its many restaurants. 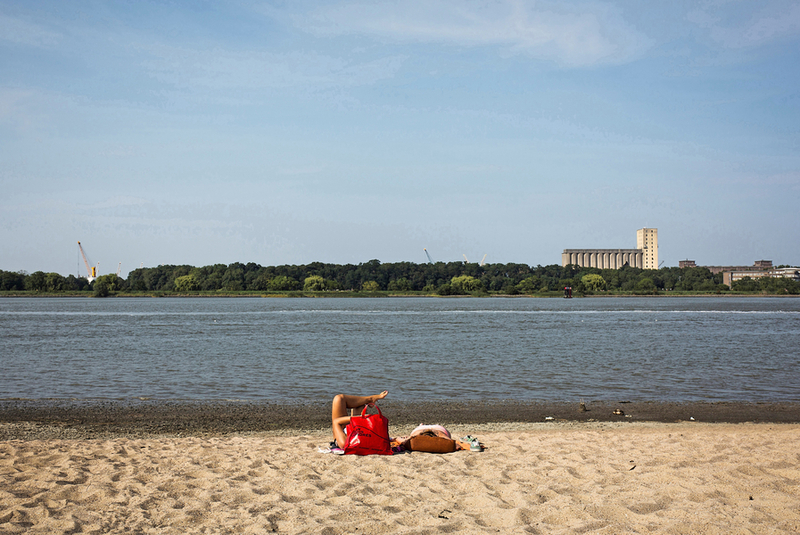 Afterwards, from the beach, you can enjoy the panoramic views of the river Scheldt, Antwerp’s skyline and the port. In addition to the city beach along the river Scheldt, the area also boasts the outdoor swimming pool ‘De Molen’, a mini golf course, a campsite, a marina, various play areas and the Saint Anna Woods. In the summer months, there is often a pleasant hustle and bustle on and around the beach. Saint Anneke is on Antwerp’s left bank, along the promenade. From the right bank, Saint Anna can be reached easily by bike or on foot through the pedestrian tunnel. Alternatively, you can take the bus (36) or tram (3, 5, 9 or 15 – stop at Premetrostation Van Eeden). Even though it is very tempting, there is strictly no swimming in the river Scheldt due to the shipping, tides and strong currents, which make it very dangerous. Discover other unique places in Antwerp that are more than worth your visit.